This officially licensed collegiate rubber ball toss toy is great for games of fetch and tug with your little sports fan-without the slobber! This officially licensed collegiate rubber ball toss toy is great for games of fetch and tug-of-war with your little sports fan! 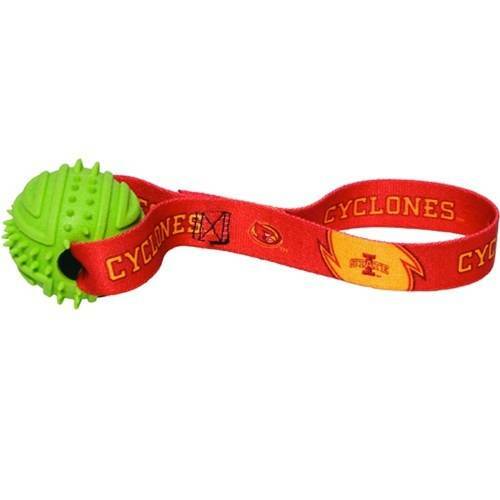 Designed with Iowa State Cyclones team graphics, this toy features a nylon strap attached to a rubber ball, so no more hands covered in slobber when you play.